Whether you have played a course 20+ times a year or looking to play the course for the first time, insights from an insider can help enhance your golf experience. 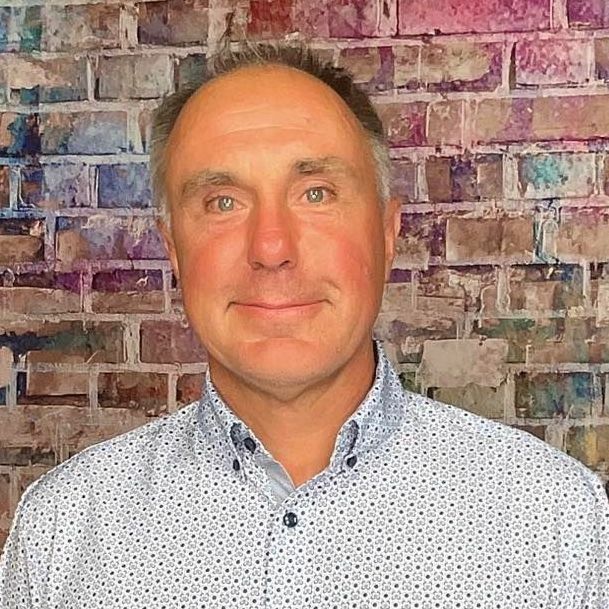 Below is an interview with Michael O'Reilly who shares some valuable tidbits about the course, memorable holes and must eats and treats at the 19th. 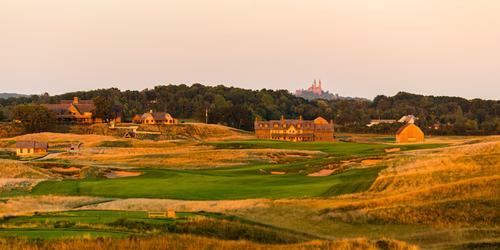 The Irish Course is the second of two championship courses at Whistling Straits. 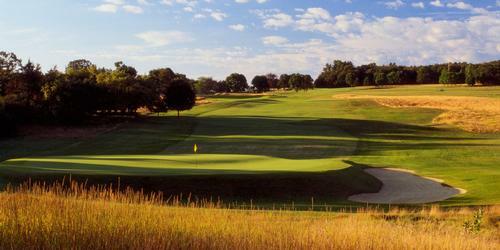 The Irish Course is just inland from the great lake and interspersed by four meandering streams. The grassland-and-dunes aspect of the Irish is a deceivingly tranquil landscape. Both traditional and memorable, the Irish is full of unique challenges for players of all abilities. The Irish is a unique and challenging golf course that was recently ranked by Golf Digest as the 39th best public access golf course in the United States. It would be a mistake for someone to visit our destination and just play the more well known Straits Course... The Irish is tough to beat! Like the Straits Course, the Irish is littered with mounds and bunkers. 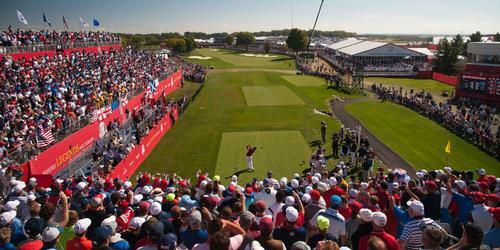 Avoiding fairway bunkers off the tee is a must. Some of them you will be able to advance the ball but many won't allow you that luxury. I recommend if you are not 100% certain you can advance the ball, pitch out and treat it like a penalty stroke. Your best bet is to avoid them! The 11th hole on the Irish is a long par 3 with a large, deep green. 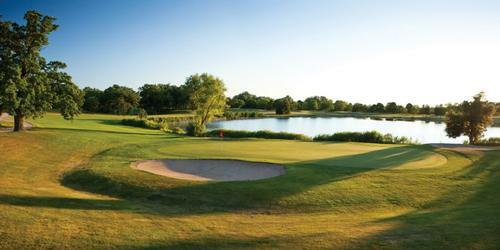 Two reasons this hole is memorable... 1) Two very large pot bunkers that await your ball should you miss the green left. The bunkers are roughly six feet deep so most players won't even see the target they are aiming at! 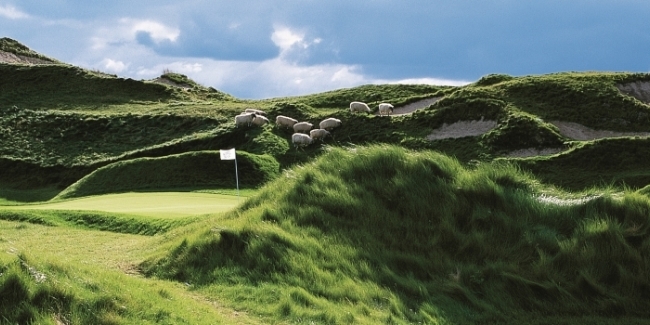 2) The sheep pen, yes, that's right, the sheep pen, where Whistling Straits' Scottish Black Faced Sheep reside is directly behind the green. Watch where you walk... You never know what you may step on! My favorite hole on the Irish Course is the par 5 14th. The green is reachable in two but the more conservative play would be to lay up short and right of the creek. This lay up will lead you with a short iron or wedge to a long and narrow green. It's Whistling Straits... Try the Guinness! We hosted some of the best collegiate players in the world during the 2005 Palmer Cup (Collegiate version of the Ryder Cup) but no official scores were recorded because it was a match play event.